Partner work. They have to fill in the gaps and check the answer with their partner! Can be used to practise speaking! The present printable, downloadable handout is intended for high school students and adults at Pre-intermediate (A2) level. 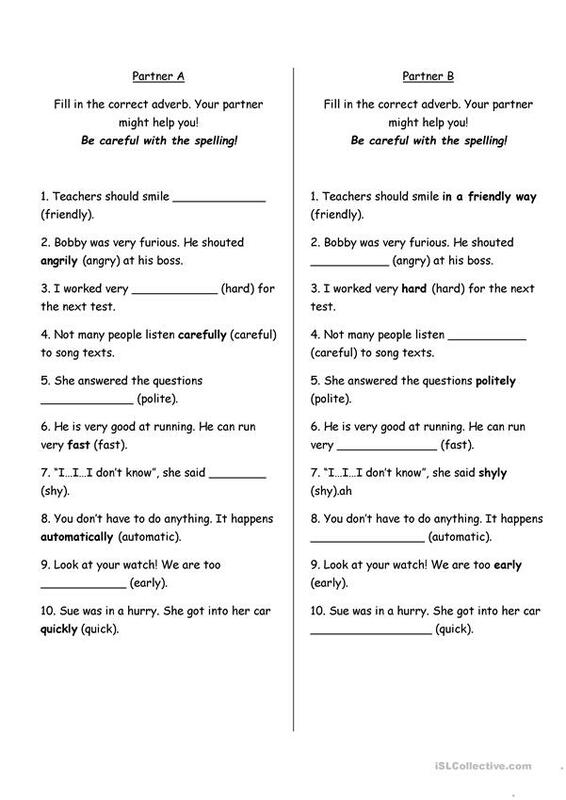 It is great for consolidating Adverbs of manner in English, and can be used for developing your learners' Listening, Speaking and Reading skills.